If you or a family member is elderly or has limited mobility, showering can be a challenging task. However, you don't have to worry about slipping and getting injured with a walk-in tub from Sorci Construction Services. We install walk-in and accessible tubs for homeowners who want to improve their bathroom's safety and usability. Our tubs are designed to make bathing as comfortable an experience as possible for seniors and those with limited mobility. If you want to install a safety tub in your home, call us today at 1-844-385-9585 or click below to get a free estimate! We install accessible tubs in Bakersfield, CA. We also offer several different styles of tubs, ensuring that you will get the right fit for your needs and won't have to sacrifice appearance. When you choose a walk-in tub from Sorci Construction Services, you can be sure you are getting a quality tub that will allow you to preserve your independence. If you've had struggles with using your bathtub in the past or have a family member who needs added safety, Sorci Construction Services is here to help. We will work with you to find the right accessible tub for your needs, ensuring that your bathroom is safe and comfortable. We offer free estimates on all our bathroom remodeling services, so call us today to get started. 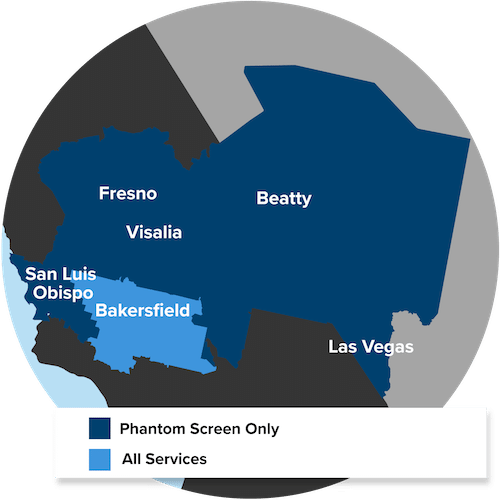 We proudly serve in Bakersfield.